Blog Improv Paper Piecing is Shipping! 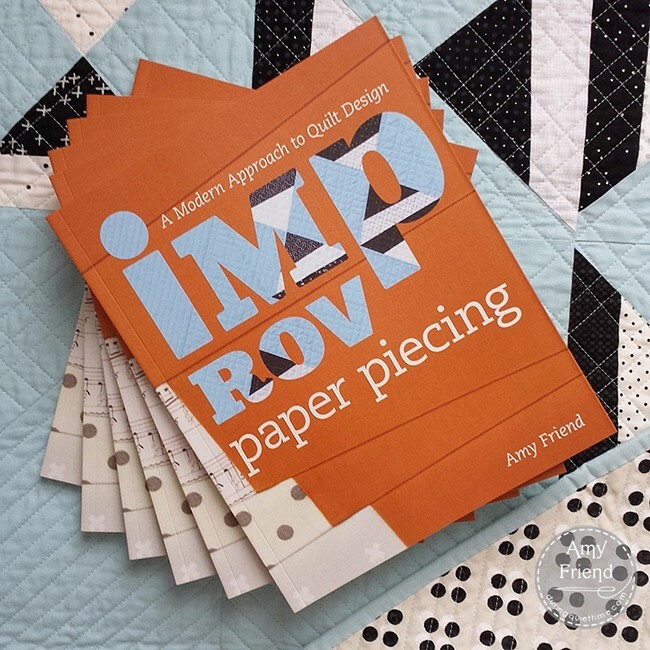 Improv Paper Piecing is Shipping! My copies of Improv Paper Piecing: A Modern Approach to Quilt Design just appeared at my door step this afternoon! They are arriving at shops who pre-ordered right now as well. I am really looking forward to sharing the ideas and designs from the book with you in the upcoming weeks. I also have a great giveaway coming up to help celebrate! To start things off, I thought I would share my favorite shot from the book. 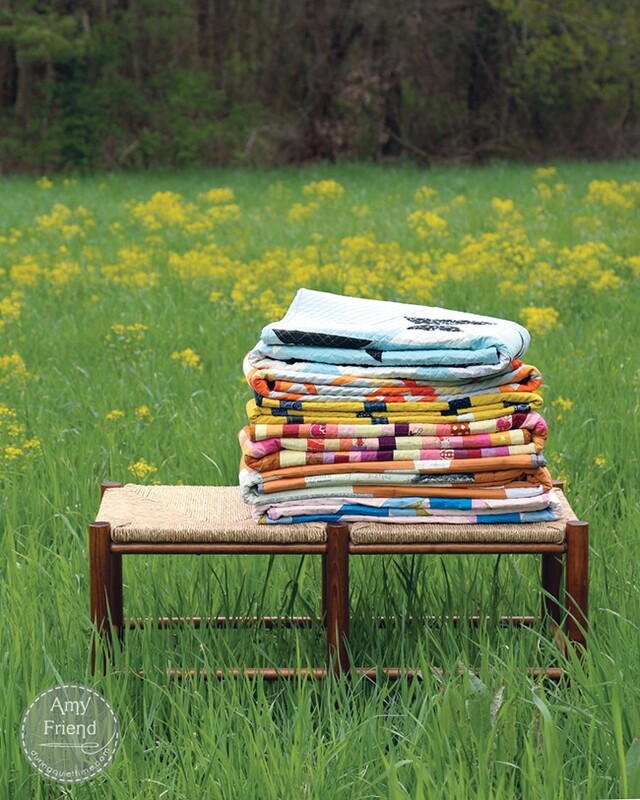 And it gives you a little sneak peek of a bunch of the quilts too! I had this picture in mind but I couldn’t find a good spot to take it, where the grass was nice and tall. I mentioned it to a local friend of mine and she said that she would look as she ran through town. Two days later, she sent me a text suggesting this location and it was perfect! The yellow flowers were a bonus. My book is technique based, presented in a workshop style approach. My hope is that by explaining my design method, and offering lots of exercises and prompts, I will encourage you to create your own designs. I incorporate an improvisational approach to design–embracing the irregular, the asymmetrical, the unexpected, with the paper piecing technique. Why? Because paper piecing allows you to repeat these improvisational designs and harness the power of repetition! It combines the aesthetic I love with the technique I prefer–it’s the perfect pairing. All my exercises are illustrated with quilt patterns that I will share in the days to come! I have copies of my book ready to ship in my Etsy shop and will be happy to sign them for you.